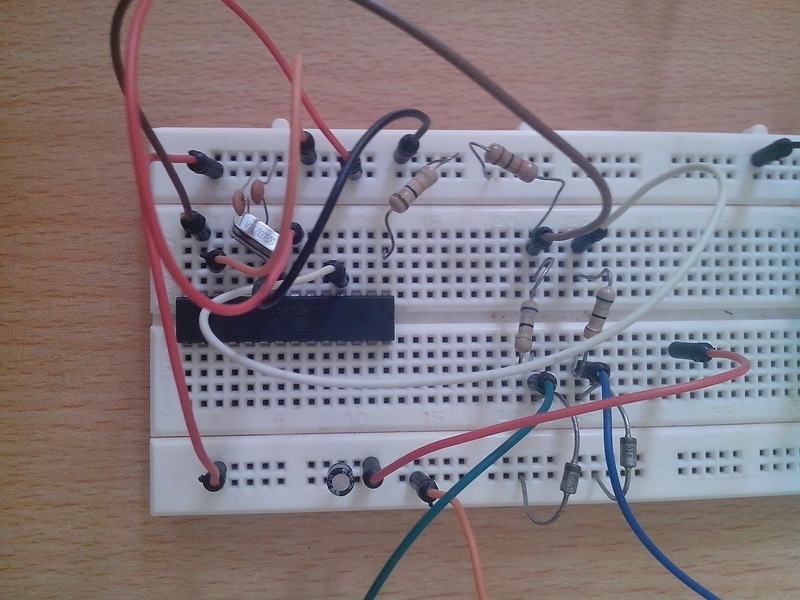 It has been a long absent since the last post of my electronic project and hacks. in my situation or maybe to refresh how to get USBAspLoader running. at my soldered board. Why? Well i forgot to add one on my breadboard, sorry. And here is the schematic. 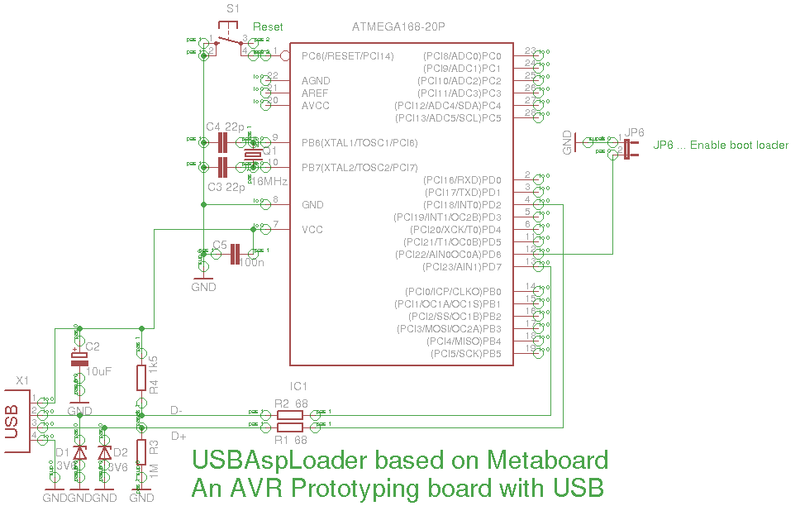 Don't get confused of the uC label, Atmega168, is has the same pin layout with Atmega8. 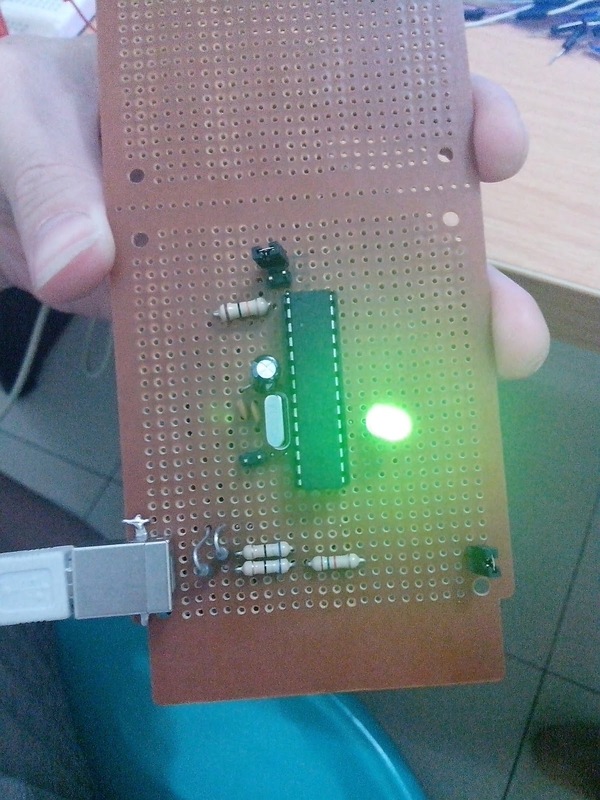 Fiuh.. ok enough with the prototyping, it is time to move it to real soldered board. and to upload/program a firmware or Arduino sketch file is blazing fast! power of USBAspLoader, it is so compact and minimum to be setup and running. Here are some problems i had faced while setup USBAspLoader to run. Device detected as High Speed USB. Usually the D- and D+ is swapped. Try to swap the connection. is uploaded correctly. Also the Jumper must be active low, connected to ground. The Device seems not responding although is already RESET. Simply leave the JUMPER_BIT floating and then press RESET. The bootloader will start bootloading the firmware which uploaded. a pull-up resistor. Simply add a 15k resistor between Vcc and the RESET pin. Checkout my new article to troubleshoot the usbasploader board.